Add 6-7 cups of water in a pan and bring to boiling point. Add the mung bean sprouts and salt and cook for 4-5 mins. Rinse in cold water and drain well. Add the chopped green onions and minced garlic to the beans. 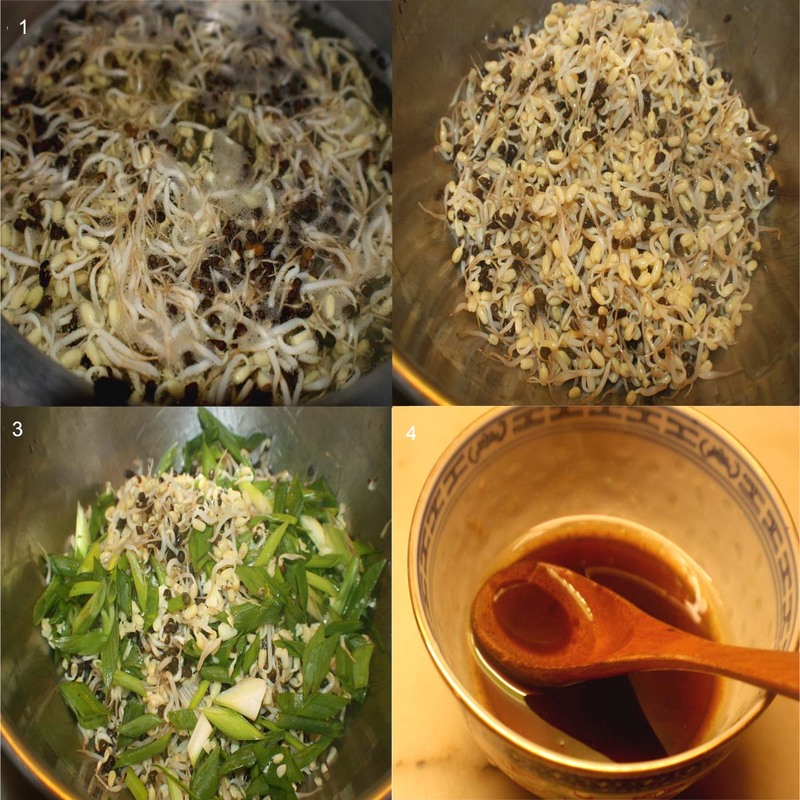 In a small bowl, mix together the vinegar, sesame oil, sugar and soya sauce . Pour it over the bean sprouts. Mix well. Adjust the salt. 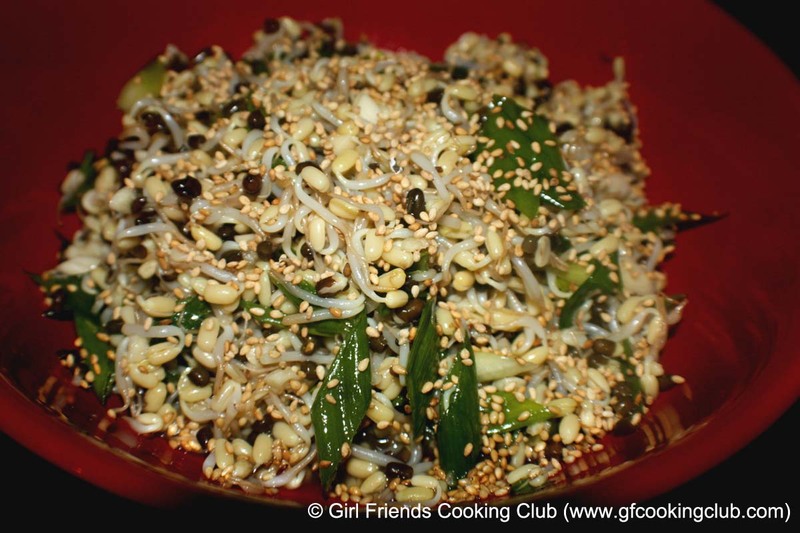 This entry was posted in Salads, Vegetables and tagged Korean Bean Salad by Kamakshi. Bookmark the permalink.